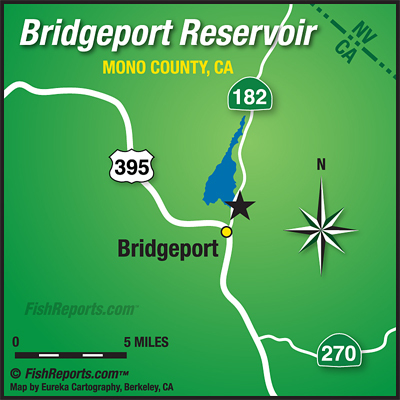 Bridgeport is starting to pick up again with anglers reporting 10 to 20 fish per boat both bait fishing and trolling. Trollers are using rapalas, needlefish and crawlers and having good success. There are lots of perch being caught with some anglers reporting getting into 20 to 40 per day on the troll. Bait anglers are doing the best with inflated crawlers and there’s also some action with pinched crawlers, mice tails and powerbait. There still isn’t much action from the shore but as the water cools and the weeds start to go away this should improve. Most of the trout being caught are in the 2 to 3 pound range with some going up almost 5 pounds lately.